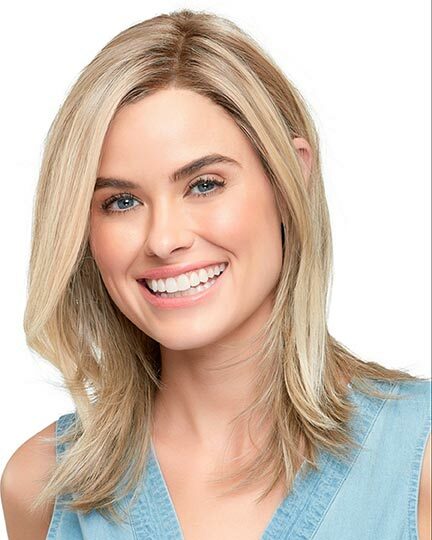 Jon Renau is reintroducing to their customers their SmartLace Human Hair Collection, the most innovative lace front wigs with the highest level of human hair in the hair alternative marketplace. These are truly elegant wigs. 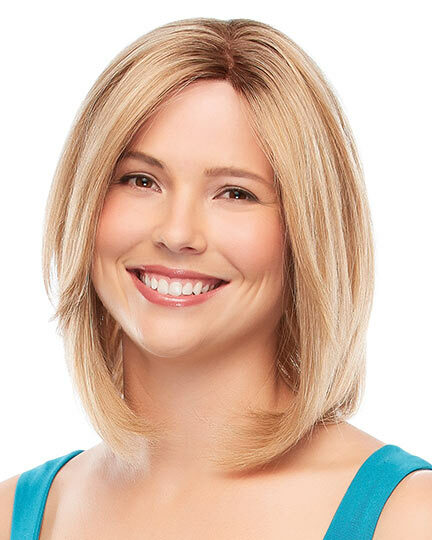 Due to their handcrafted construction, all SmartLace wigs have "true-to-life" shape and long lasting comfort. 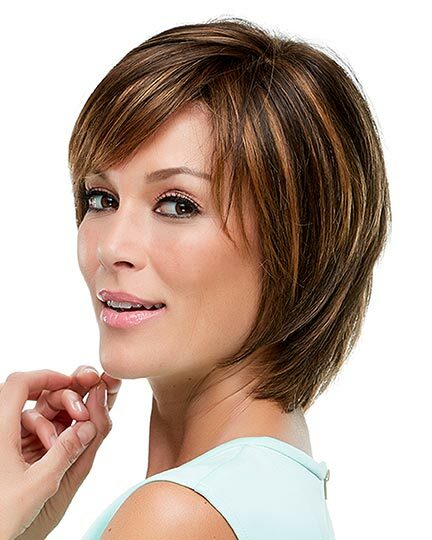 Featuring human hair in a range of blended and Renau natural colors, these wigs offer maximum styling versatility. It is evident by the number of wig boutiques, beauty supply stores, professional beauty salons, and online wig stores that offer Jon Renau wigs, there is a strong market for women who desire the opportunity to create a special look for themselves. 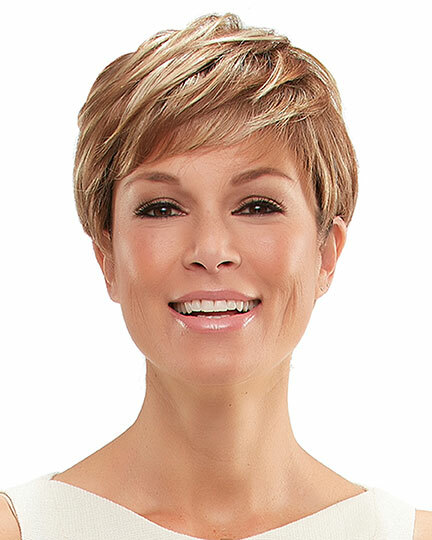 Whether you want lightweight cap construction or 100% hand-tied monofilament quality, Jon Renau wigs offers variety and value for every woman's needs. Browse our selection of wigs above to find the styles, constructions, and colors that are just right for you. 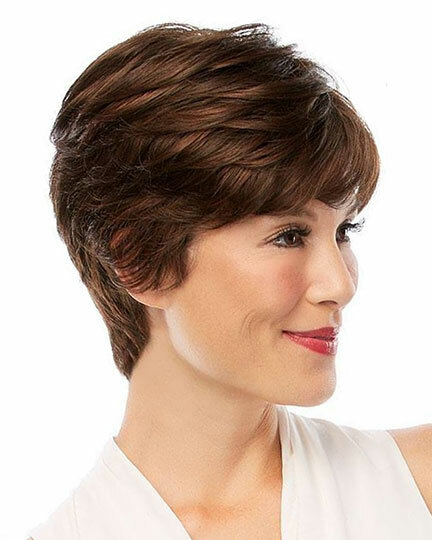 You can add volume or length, curls, texture, and color to your "look" with Jon Renau wigs. 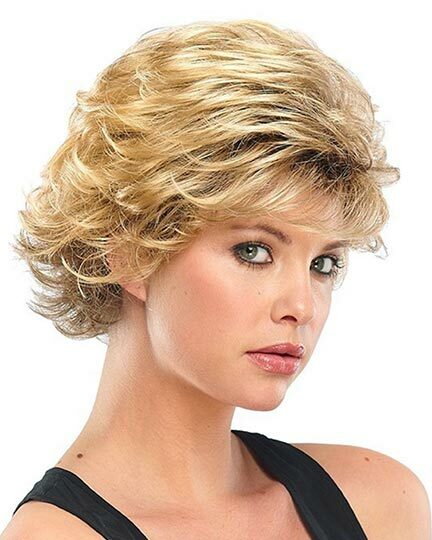 Whatever you fancy in hair styles whether it is a blond short cut, medium length curly, or long blond cascading down your back Jon Renau wigs will most likely have you covered. 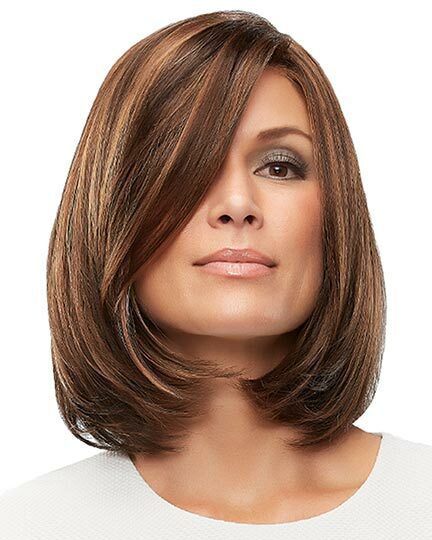 Jon Renau wigs are in the forefront of color technology with their beautiful "stacked" glazed colors, streaked "syrup" colors, and "shaded" colors. Jon Renau also offers hair pieces also called toppers. Go to our Hair Additions & 3/4 Cap Wigs to find them. We keep Jon Renau hair pieces separate from these Jon Renau wigs' pages, so customers don't mistaken them for full wigs. BEFORE PURCHASING A TOPPER, PLEASE WATCH THIS VIDEO. View all 166 available colors for Jon Renau Wigs. Please be aware that the colors you see on the displays will not be exact. 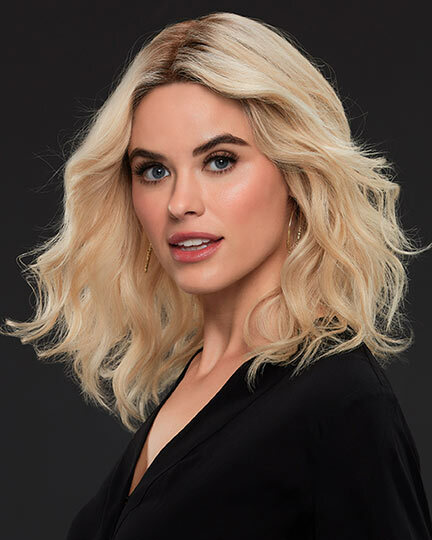 Take a look at the Jon Renau California Blonde Smart Lace Human Hair Collection featuring eight styles: Angie, Blake & Blake Petite, Carrie & Carrie Petite, Gwyneth, Jennifer, Kim, Margot, and Sienna. 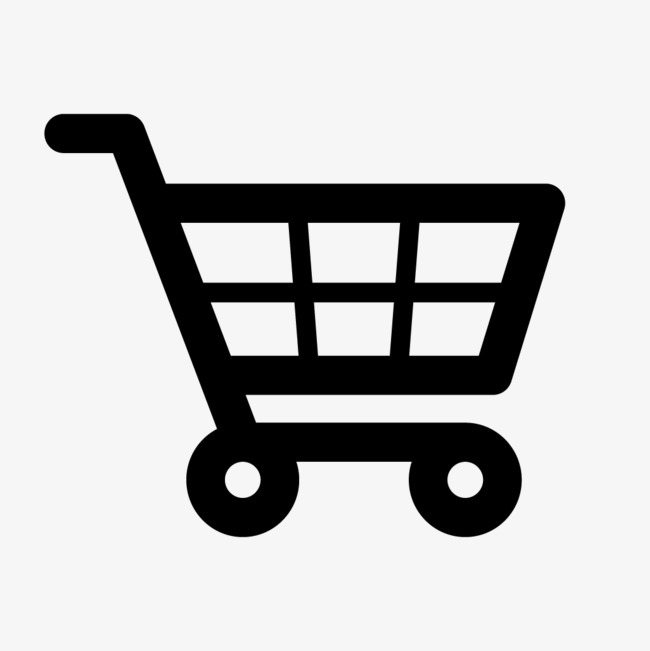 There are 138 Jon Renau products on display. Jon Renau's innovative Renau Naturals (RN) exclusive colors achieve vibrant natural hues without the use of dyes. Learn more. NOTE: ONLY the Renau Naturals colors within the Exclusive color range can be safely deposited onto or lifted 2-3 levels. Shaded and Ombre colors within the Exclusive color range should not be colored. Any human hair color without the "RN" should not be colored. Styles with RN / Exclusive colors have the word "Exclusive" after the wig's or hair piece's name. 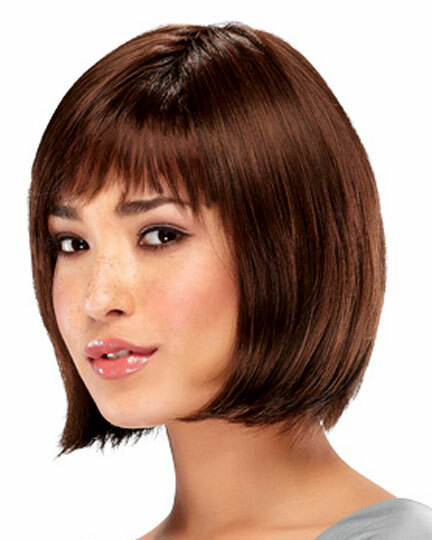 Jon Renau HD wig collection boasts 5 new SmartLace designs and one new Mono Top style. 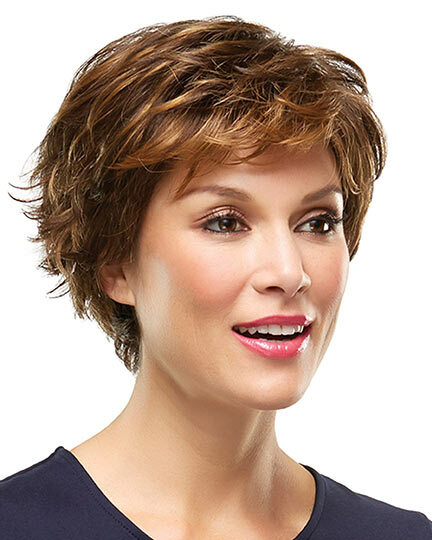 Jon Renau HD Wigs are designed to give you the freedom to reinvent your look day after day. By using breakthrough heat defiant fiber technology, the designers at Jon Renau have created styles that you can blow dry, flat iron, crimp and curl just like natural human hair. In fact, the fibers can be styled with heat up to 350 degrees. Jon Renau's HD wigs can be restyled daily to suit your mood, or worn straight out of the box for stunning, all-day beauty. 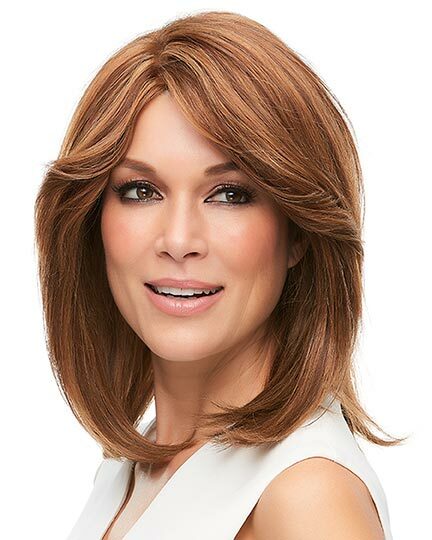 Because of the silky texture and resilient structure of this technologically advanced fiber, Jon Renau HD wigs create and capture the natural sheen and glossy touch of healthy human hair. The designers at Jon Renau believe that this heat defiant HD fiber, with its ultra fine denier and true-to-life feel, is more luxurious and realistic than any other synthetic hair on the market. 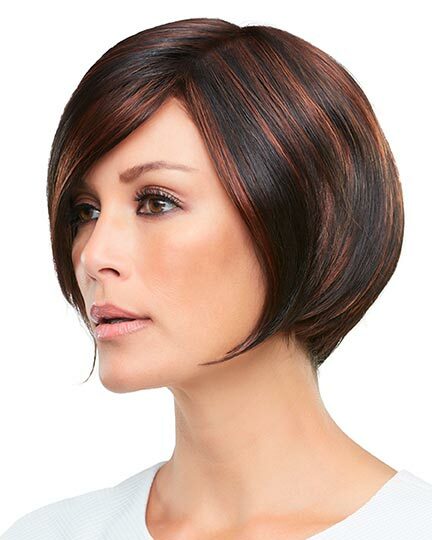 Try one of the Jon Renau wig styles featuring HD fibers, to discover for yourself their exceptional qualities. Known for their variety of tipped, highlighted, streaked, shaded and blended colors, the manufacturer of Jon Renau wigs is celebrated as one of the leaders in wig designs for their innovation in color, fine quality, and outstanding craftsmanship. Jon Renau proudly presents the SmartLace Human Hair Collection, the most innovative lace front wigs on the market using the highest grade human hair available. 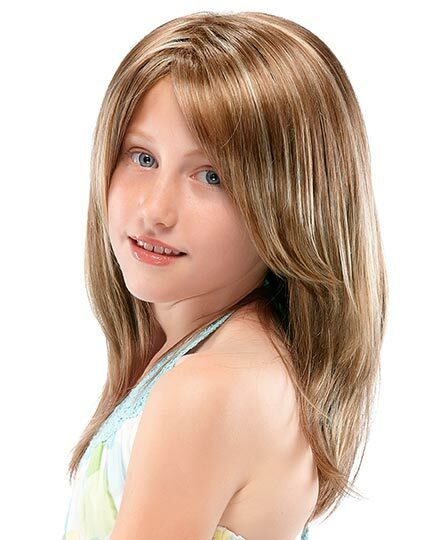 Quite simply, the quality of each SmartLace Human Hair wig is unsurpassed. All SmartLace wigs have true-to-life shape and long lasting comfort due to their hand-crafted construction. 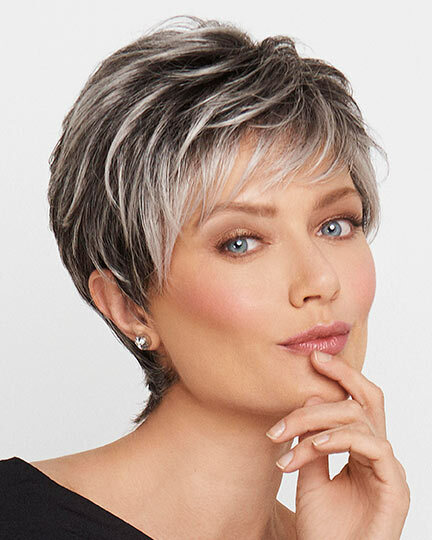 Featuring human hair in a range of blended and Renau Naturals colors, these stunning wigs offer maximum styling versatility. You have a variety of styling choices. You can straighten, curl, cut, color, part, braid and highlight a Smart Lace human hair wig for the exact look you want. 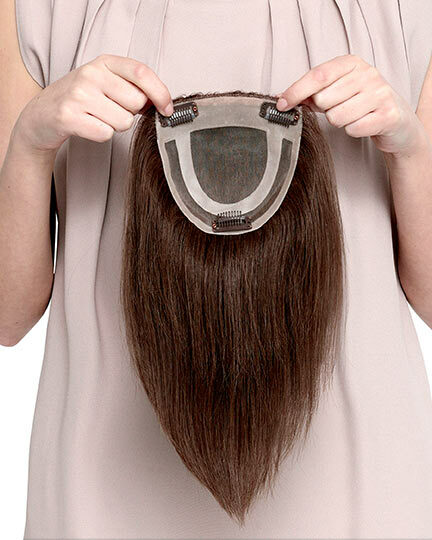 There is no doubt that the SmartLace Human Hair Collection will revolutionize the way you feel wearing a wig. Expanding the Smart Lace Collection are: Angie, Carrie, Jennifer, Kate, and Nicole joining Alia, Bowie, Hillary, Nita, and Zara. Jon Renau's innovative Renau Naturals (RN) colors achieve vibrant natural hues without the use of dyes. Typically human hair that is used in wigs undergoes bleaching to remove most of its pigment, followed by coloring with fade-proof, permanent dye. Renau Naturals approaches its colorization differently. A special process gently lifts the original color until the desired hue is achieved. Hues can then be hand-blended, wig by wig, to create stunning, shimmering natural hair colors. Jon Renau specialists use no dye in the process, leaving the hair superbly healthy and ready for custom color and highlights, if desired. Jon Renau makes four RN colors (4RN, 8RN, 24B22RN, FS12/26RN) using an exclusive process that takes extra time and uses no textile dyes. Renau Natural (RN) colors, by Jon Renau, are not for everyone. In fact, most women who purchase human hair wigs order the color they want from the available selection. But if you are purchasing a human hair wig with the idea of working with a salon/hairdresser to get your own custom color or highlight, then the Renau Natural colors are made for you. These colors are specifically designed to accommodate additional color for your custom look. Salons prefer the RN colors because the human hair fibers in these Jon Renau wigs work better than other human hair wigs in absorbing and accepting custom salon coloring. Jon Renau styles that offer RN colors are: Angie, Carrie, Jennifer, Kate, and Nicole. Using Jon Renau's exclusive Renau Naturals coloring technique achieves gloriously natural hues without dyes, giving you unlimited options for coloring or highlighting your wig. Since 1969 Jon Renau has been designing and selling extraordinary wig products and consequently is recognized worldwide as one of the leading suppliers of quality wigs. 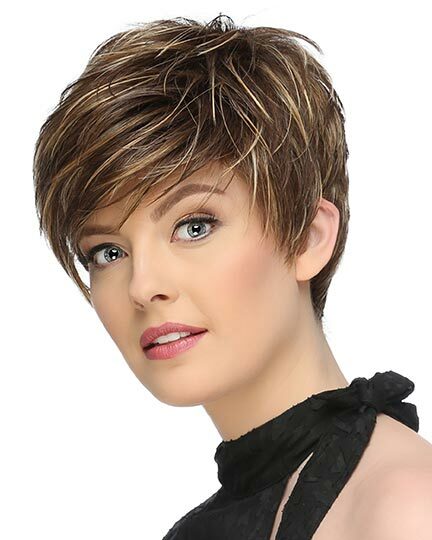 One of a few manufacturers who offers human hair wigs with a monofilament top, Jon Renau wigs has a range of finely crafted 100% human hair wig styles. 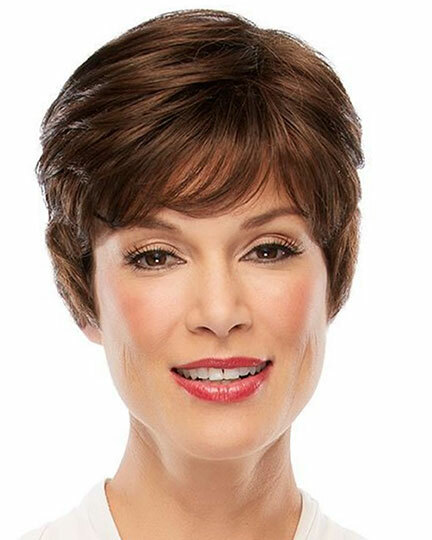 Aware of the needs of women who require "medical wigs", the designers of Jon Renau wigs introduced in 2002 the O'solite wig collection. 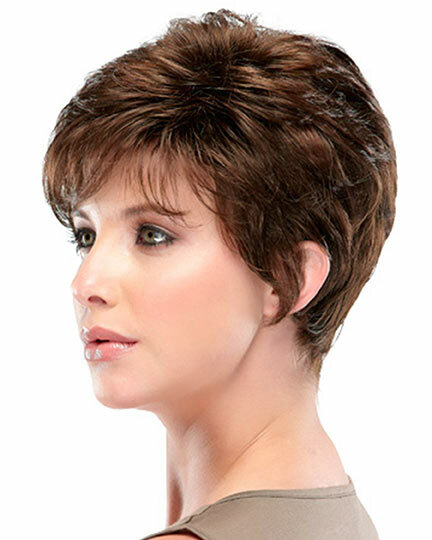 The exclusive O'solite combination of fibers weighs 50% less than traditional wig fibers and with its open cap construction (called capless) for a cool, lightweight feel, these Jon Renau wigs are perfect for women with highly sensitive scalps. Feeling as soft as real hair, the O'solite wigs still have enough body and memory to retain their styles. With Jon Renau wigs you can achieve those hair styles you desire, but might otherwise find difficult to create by yourself or to attain even at a hair salon. When you recognize the originality, creativity, and quality of Jon Renau wigs, why look anywhere else. In the privacy of our ElegantWigs salon, choose from among the many Jon Renau wigs styles and make yourself look and feel exceptional. Here are a couple tips to help you understand Jon Renau's color codes. Blended colors are indicated with a 'B' in the color code. Jon Renau blends their solid colors to achieve exceptional new colors that mimic natural tones. Tipped colors are indicated with a 'T' in the color code. Jon Renau's highlighting is demonstrated throughout the body of the wig, as well as the ends. Syrup ('FS') and Highlighted colors ('H') were especially designed around current fashion forward styles. Notice how Jon Renau adds flare with multiple colors streaked into a base color. Layered colors are indicated with an 'L' in the color code. Jon Renau constructed these with a lighter frosted shade starting from the crown and "running" down to about half way on the cap over the darker shade at the nape. Shaded colors are indicated with an 'S' in the color code. The roots of the specific Jon Renau wigs are colored a darker shade that the rest of the wig. This has the most appealing effect of colored hair with natural regrowth. Renau Highlight: A traditional highlight ('H') is 20%. 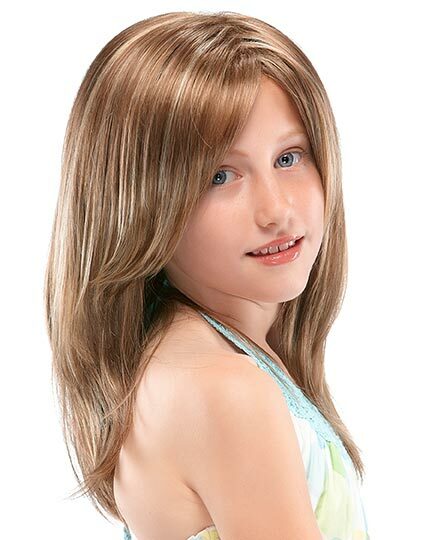 Jon Renau offers its specified wigs with a hightlight 'RH' which is 33% highlight. Two-Toned colors are indicated with a'TT' in the Jon Renau color code. The nape of the wig will be the darker shade, while the crown and sides will be the lighter shade. Fashion colors are indicated with a'F' in the color code. Jon Renau wigs with fashion colors will have something different about them, such as more noticeable highlights or a darker nape. Flash Front colors are indicated with a 'FF' in the color code. Flash front means the Jon Renau wig will be lighter on the front.